This post is a full blown Mommy Post. No other way to describe it. I mean, we are talking the basic necessities of any mother of a baby/toddler. Diapers and wipes. Let me just start out by saying I am jealous of mom's who have kids who can use any diaper, any wipe, and wear "whatever was on sale." Simply because my child is not one of them. He gets diaper rash easily. And not "oh its just a little pink"... no, no, he gets the its painful full blown "we may need to go to the doctor" rash. Any diaper that has the lightly colored interior (usually labeled extra dry or something similar) will give him a rash. Heavy duty wipes that have words like "clean" and "one" in the title will give him a rash. Random generic diapers will give him a rash. So when I was given the opportunity to try products from Seventh Generation, I jumped at it. 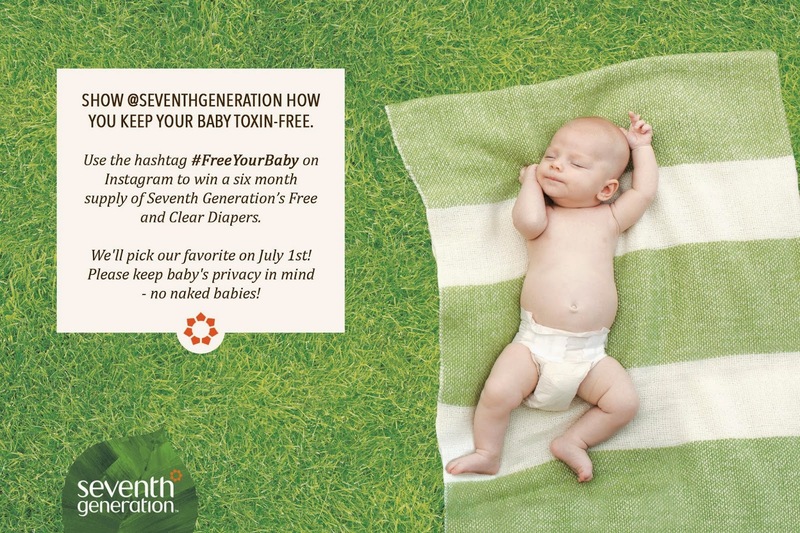 I knew these diapers were free of synthetic fragrances and lotions and free of chlorine processing: Meaning I wouldn't have to worry about my son's skin reacting to the diapers. One thing I wasn't sure about... Absorbancy. My son tends to leak through diapers. A lot. So I knew I would be putting them to the test. The result. No rash, my son seemed comfortable, and they held up just as well as my overnight diapers. Definitely a quality product. They are also the first FSC® Certified Diaper made in the United States. The diapers definitely deserve all of the positive attention they get. But I was also REALLY impressed with the wipes. I know. It sounds odd. But after using thin wipes made by another name brand company, using these thick, sturdy, soft wipes was amazing. I couldn't believe how great they felt and how well they worked. One wipe cleaned up a mess that would take 5 wipes with the brand I had been using. Moral of the story: With Seventh Generation you're not only getting safe, Eco-friendly products but you're also getting a very high quality, extremely effective product. Which makes mommy life just a little bit easier. I read your whole post. Any man can get necessary idea from this post.